How Can Small Businesses Utilize Healthcare.gov? Since the inception of the Affordable Care Act and the federal government’s Health Insurance Marketplace website, the adoption by small businesses and their employees has seen ups and downs — with plenty of room for growth. The rate of individuals signing up for health insurance has soared, but one area continues to lag: usage of the Small Business Health Options Program (SHOP) Marketplace at Healthcare.gov. In last year’s open enrollment period, nearly 11.7 million people signed up for or were re-enrolled in medical coverage through the Health Insurance Marketplace (as of Feb. 22, 2015). Some of these individuals who signed up for individual insurance policies also benefit from Defined Contribution Health Plans extended from their small business employers. With a Defined Contribution Health Plan, employees are responsible for selecting the individual health insurance plan that best fits their unique situation and needs. They make payments out of their own finances, but are then reimbursed from fixed-dollar medical monthly allowances provided by the company. Defined Contribution Health Plans can improve ease of use and lower overall costs for everyone involved. However, for this process to work smoothly, small businesses need to ensure their employees understand how to utilize Healthcare.gov. Timing — Small businesses can enroll in the SHOP Marketplace at any time. Online Sign-up and Management — The entire SHOP sign-up process is online. Perhaps even more importantly, you can manage everything from employee participation to premium payments on the web, too. Flexibility — You control the coverage and how much you pay toward employee premiums, as well as whether to offer dependent coverage and dental insurance. You even determine the length of your employees’ open enrollment period is. Tax Credits — You can use the SHOP Tax Credit Estimatorto determine whether your business will qualify for the Small Business Health Care Tax Credit, which is worth up to 50 percent of your premium costs. Small businesses that are interested in leveling the playing field with large employers by utilizing SHOP can access a wealth of tools at Healthcare.gov. Available resources include an FTE calculator and Minimum Participation Rate Calculator. With more health insurance options at your disposal than ever before, small businesses are useing Healthcare.gov to access valuable support and tools, and to find the right type of benefits plan to offer employees. 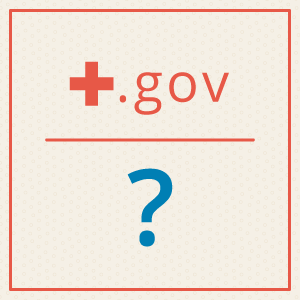 What questions do you have about utilizing healthcare.gov?